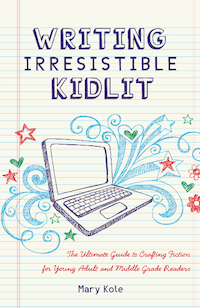 Writing Irresistable Kidlit: The Ultimate Guide to Crafting Fiction for Young Adult and Middle Grade Readers, by Mary Kole (Writer's Digest Books, 2012). Mary Kole's book sets forth the key elements to successful writing for young adults and middle grade readers. 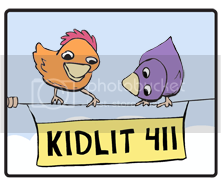 Using examples from current and perennial best sellers, Ms. Kole provides an overview of the kidlit market, the mindset of the middle grade and YA reader, and emphasizes the importance of the Hook, or a marketable big idea. She then delves into the nuts and bolts of good writing, including beginnings and endings, developing great characters, plotting, word choice and voice, among other topics. Bird by Bird, by Anne Lamott (Anchor Books, 1995). Anne Lamont is a funny, generous and talented writer who provides inspiration, life lessons, and helpful writing tips to aspiring authors. Although Lamott provides practical advice in chapters like "Getting Started," "Plot," and "Character" (for example, plot grows from character), her best advice is more encompassing. She provides motivation (just get your horrible first drafts out, trust in your intuition), perspective (publication will not change your life), inspiration (write from your childhood, a time when you felt things deeply and paid attention to life), the reasons to write ("to expose the unexposed," to find your true voice and report honestly about the "cold dark place within"; to write the truth) and why it all matters ("Writing and reading decrease our sense of isolation. They deepen and widen and expand out sense of life: they feed the soul."). 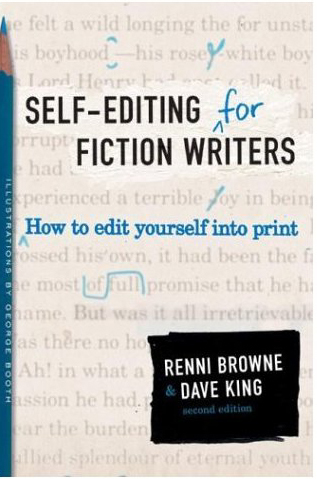 Self-Editing for Fiction Writers: How to Edit Yourself Into Print, by Renni Browne & Dave King (Harper Collins 2004) While the best way to improve your writing is to learn from an expert editor or critiquer, the authors give concrete tips on editing one's own manuscripts, using real manuscripts as well as writing exercises. 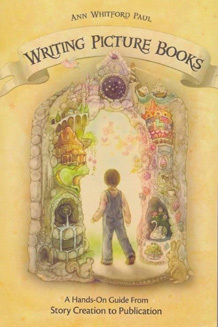 It was from this book that I really learned the Show, Don't Tell rule, and from there, I learned more about characterization and exposition, point of view, proportion (don't over describe, but don't cut important passages), dialogue mechanics, interior monologue, beats, emphasis, voice, and more. One Year to a Writing Life: Twelve Lessons to Deepen Every Writer's Art and Craft, by Susan M. Tiberghien (Perseus Books Group, 2007). Divided into twelve lessons, one per month, this book walks writers through exercises that will help sharpen skills and expand their repertoire. She covers journal writing, personal essays, opinion and travel writing, short stories, folktales, poetic prose & prose poems, memoirs, and specific topics like dialogue and working with imagination and dreams. Other perennial writing favorites include Stephen King's On Writing, and Strunk & White's Elements of Style. What are some of your favorite craft books? Awesome post Sylvia! I love the first two and Stephen King's On Writing. Another one I have found pretty helpful, though it is pretty old (but not dated) Gary Provost - Make Your Words Work (proven techniques for effective writing - for fiction and nonfiction. )And Shulevitz - Writing With Pictures is a great start for learning more about illustrating picture books, though I would love to have seen more color examples in it. It sounds like the self-editing book would be very worthwhile. Thanks for sharing! Ann whitford's book is very good. 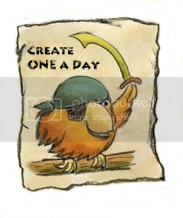 What I want to know is if you thought the Self Editing for Fiction Writers is helpful for picture book writers. I often struggle with SDT with picture book writing because I don't understand how we can show everything when we are limited in word count. There has to be some telling which I often see in published books. I'm hoping it would explain that in the book. Thanks for the references and your reviews. I appreciate it. Romelle, I wish I could find the link, but I read recently that you don't have to follow the SDT rule as stringently in picture books, because that rule assumes a lot of life experience that young readers don't have. For example, if I say, her lower lip quivered, you and I know she's sad, but a 5 year old may not get it. Also, my own view is that picture books are structured so that the words tell, and the illustrations show. So I think there's a balance between showing and telling in PBs. P.S. In my example, we could also show using action that a young child would understand, like, tears rolled down her face. I've heard of (or read or own) all of those except for One Year to a Writing Life; I'll go check that out; thanks, Sylvia! I also love the Uri Shulevitz one. :) I used to have the one about writing for kids by Nancy Lamb but I didn't like it that much and ended up donating it.